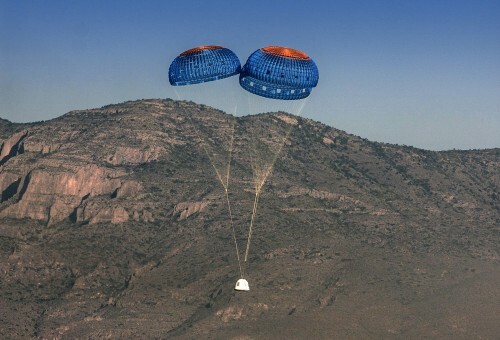 Blue Origin, the private space company founded by billionaire Amazon founder Jeff Bezos, launched the first test flight of its New Shepard space craft on Wednesday from the company’s secretive West Texas test site about 40 miles north of Van Horn. In a statement, Bezos indicated the flight was at least partly a success. “Any astronauts on board would have had a very nice journey into space and a smooth return,” Bezos said Wednesday. 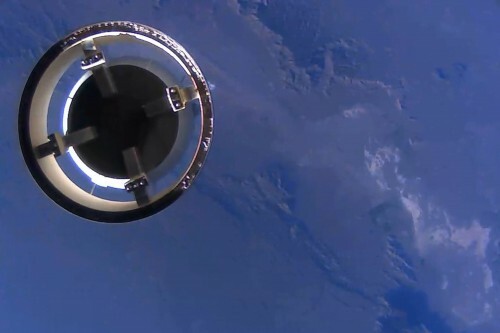 Bezos said the liquid hydrogen and liquid oxygen-powered BE-3 engine powering the craft “worked flawlessly,” bringing it to an altitude of 307,000 ft – about 58 miles – while traveling at Mach 3 speed – about 741 mph. Bezos said the launch team maintained control of the craft throughout the entire ascent, but he confirmed the rocket booster propelling the craft wasn’t able to be salvaged. Bezos said the company’s already working on upgrades to keep that from happening again. Blue Origin is also designing a new spacecraft that it’s calling the Very Big Brother of the New Shepard craft. The launch comes just weeks after Blue Origin announced it would be conducting just such a test flight soon, though company officials at the time didn’t say when that would occur. Earlier this month, it appeared for a moment that a rocket launch at Blue Origin’s West Texas site was already happening. 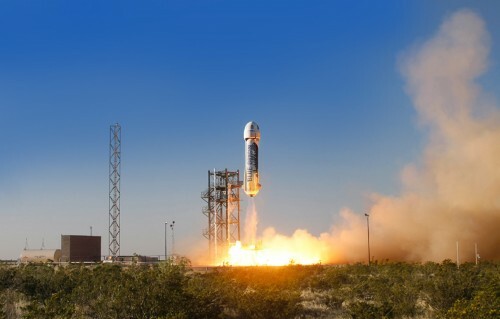 A temporary flight restriction appeared over the company’s launch facility “due to rocket launch activity,” but Federal Aviation Administration Spokesperson Hank Price said Blue Origin in fact conducted a “static fire test” – essentially, a ground test of an engine. Meanwhile, the company is already gearing up for similar tests in the future. “We’ll be ready to fly again soon,” Bezos said Wednesday. This entry was posted in KRTS News and tagged Blue Origin, Culberson County, Jeff Bezos, Private Space Industry, Space, Space Flight, Van Horn. Bookmark the permalink.